If you’ve been anxiously awaiting “Batman v Superman: Dawn of Justice,” – set to appear in movie theaters March 26, 2016 – then you may be in the market for something to wear to the show. If you’re traveling, you may not have time to shop for just the right thing to wear (a cape?, pointy bat ears?) to the theater, but Hudson stores at airports have you covered. At eleven major airports – including LAX, Miami International Airport, Newark Liberty International Airport, Omaha Airport, Louis Armstrong New Orleans International Airport, Chicago Midway International Airport, Lambert–St. Louis International Airport, Seattle-Tacoma International Airport, Burbank Bob Hope Airport, Nashville International Airport, and Boston Logan – Hudson shops will be offering two, exclusive, movie-themed t-shirts. And it looks like you can choose your super hero. 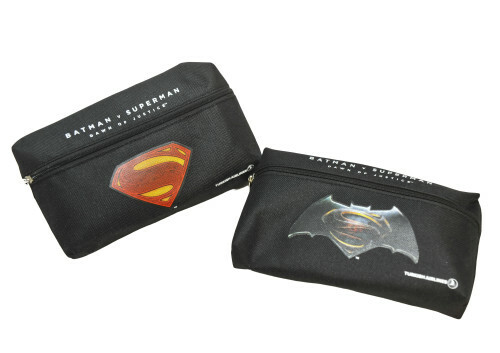 The t-shirts would be the perfect thing to wear on the special Turkish Airlines plane that has a Batman v Superman livery and Batman v Superman amenity kits.